Highly active antiretroviral therapy (HAART) requires strict adherence to achieve optimal clinical and survival benefits. 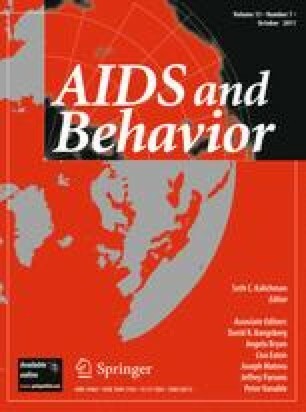 A study was done to explore the factors affecting HAART adherence among HIV positive adults by reviewing routinely collected patient information in the Centre for the AIDS Programme of Research in South Africa’s (CAPRISA) AIDS Treatment Programme. Records of 688 patients enrolled between 2004 and 2006 were analysed. Patients were considered adherent if they had taken at least 95% of their prescribed drugs. Generalized estimating equations were used to analyse the data. The results showed that HAART adherence increased over time, however, the rate of increase differed by some of the socio-demographic and behavioural characteristics of the patients. For instance, HAART adherence increased in both urban and rural treatment sites over time, but the rate of increase was higher in the rural site. This helped identify sub-populations, such as the urban population, that required ongoing adherence counseling. CAPRISA was established in 2002 through a Comprehensive International Program of Research on AIDS (CIPRA) grant (AI51794) from the US National Institutes of Health (NIH), as a multi-institutional collaboration, incorporated as an independent non-profit AIDS Research Organization. The NIH funded the development of the research infrastructure, including the data management, laboratory and pharmacy cores established through the CIPRA grant. The US President’s Emergency Plan for AIDS Relief (PEPfAR) grant (1U2GPS001350) funded the care of all the patients in the CAT Programme. Dikokole Maqutu was supported by and Anneke Grobler received career development support from the Columbia University-Southern African Fogarty AIDS International Training and Research Programme (AITRP) funded by the Fogarty International Center, National Institutes of Health (Grant # D43TW00231). We gratefully acknowledge the patients in the CAT Programme. We also thank all the staff who worked on the CAT Programme, treating patients and helped in the data collection. Special thanks to the pharmacists for collection of pill count data. Bangsberg D, Emenyonu N, Andia I, et al. No decline in high levels of electronic pill cap, unannounced home pill count, and patient-reported adherence to free ARV therapy over 12 months in rural Uganda. In: 15th conference on retroviruses and opportunistic infections. Boston, Massachusetts, 3–6 Feb 2008 [abstract no. 801]. http://www.retroconference.org/2008/index.asp. Accessed 4 Feb 2010. South African National Department of Health. National antiretroviral treatment guidelines. 1st ed. (2004). http://www.hst.org.za/uploads/files/sa_ART_gudelines1.pdf/. Accessed 7 May 2009.